Challenge: Dominant gobblers are likely henned-up. Some satellite two-year-olds and jakes might travel with the group – but at some distance. Options: Sometimes you stand a chance at pulling one of those subdominant gobblers in your direction by using terrain, timing and calling tactics. Make submissive birds want to come to your calling position. Post-Game: Got a buddy with a tag? You can kill a solo dominant longbeard in a spot one day, and see another once-subordinate gobbler move in there shortly after. Challenge: Don’t give up on areas where gobblers are henned-up. Keep at it and one day you might find that turkey alone and girl turkeys nesting. This might signal the subtle shift to mid-season. Options: Use woodsmanship to get close. Some nesting may have started; some gobblers may have been killed. Flock configurations are shifting. Some gobblers are still on the move, looking for company. Be there when they are. Post-Game: Scouting to see shifts in breeding ranges is important throughout the season. Challenge: Hens are nesting – at least some of them. 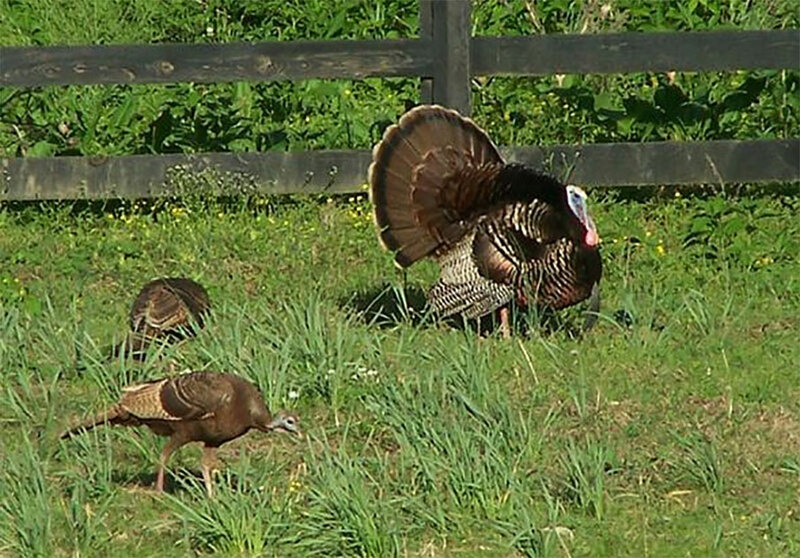 Male turkeys are sometimes looking for other gobblers now as summer approaches and the urge to breed fades. Options: Use gobbler yelps and gobbles to pull them in. Then there’s the young hen factor. Biology tells us young hens, if they breed, do so later and often quit efforts sooner. Occasionally you’ll see a young hen with a gobbler that hasn’t been there that season. That’s the male turkey you want to target at the wire. Better yet: call her in to pull him to your gun or bow. Post-Game: That’s why they invented fishing. Enjoy it. Next season will be here soon.